How could Mary possibly know? No matter that an Angel had visited and informed her. It was too hard for any person to fully absorb and understand. Sometimes that’s how I feel about caregiving. How could we possibly know? I read the books, I am even writing one. Yes, there are some pointers, some facts to remember – strategies to use. Some things I have read have helped guide me. And I certainly hope those suggestions I relay when speaking or writing, really do help someone out there in caregiving world. But for some things – I just have no idea. I write a lot about emotions. I am an emotional person. I feel them, express them, and recognize them in others. But sometimes I don’t know what to do with them. This week has been tough. My beloved dog – the best dog I have ever owned, died. He’s “just a dog” but I loved him and he loved me and my heart aches. Then I made the seasonal trek to the family graves, to put out the Christmas flowers. I had good chats with each family member – except my brother. I am still too angry at him to chat. He left me too soon. I can’t except it, can’t get settled with it, miss him way too much and am way too angry that he took care of everyone else and not himself and left me. Of course he left others – his wife is still heart broken, his children are grieving, as well as my sister. But right now I am grappling with my own feelings. I don’t have the energy for anyone else’s. And there is my mother, balancing somewhere in that continuum – moving toward death but not there yet – not living either. She has no joy. She is miserable and frustrated. I see it in her face, in her gestures. All of us, family and private caregivers, as well as staff, are trying hard to give her some positive quality of life. But is it working? We ply her with all sorts of her favorite foods to entice her to eat. We work diligently to keep her bowels moving, although she resists our efforts and even resents our tactics. She becomes dehydrated easily so we coerce, beg and plead for her to drink more fluids. She is now receiving “power shakes” three times a day to provide additional nutrition. We urge her to try to walk, to move, to pay attention. We urge her to speak loudly so we can understand her. We beg her to allow us to clean her teeth. I visited her early in the morning before I went to church. She had some congestion. She actually needs to cough. The doctor has advised we should cup our hand and pound her back as she coughs. I remind her of this as I pound and urge her to “cough it up.” She holds back. It takes too much energy to cough. She then begins to cry. And I stop and ponder. How do I know? How do I know when to really stop? I know about end of life decisions. I have taken Hospice training. I have participated in many end of life workshops and presentations. I know when to say “stop” to chemotherapy or to say no to a feeding tube. But I don’t know how or when to stop this – bringing her snacks, begging her to drink, finding new ways to stimulate her bowels to move. How do I know when to stop? When to tell everyone else to stop? You see, I have asked her. When she has had better days, I have asked her if she is ready to stop trying and she tells me no, quite firmly. I have had family members who fought hard to the end, and then just went, and those who have said, “It’s time to stop, I am ready.” But my mother doesn’t seem to want to fight in the right way, – she doesn’t want to eat enough, she doesn’t want to drink enough, she doesn’t want to take the pills, she doesn’t want to exercise. So then, how do I know? So it is a few days before Christmas and I am feeling very “Bah Humbug”. I want to shout, “My brother died, my dog died, my mom in is limbo and I just want to hit someone!” Everyone should want me at their holiday gathering! It was enough. It made me want to say “Merry Christmas!” It made me know that when the time is really right, I will know. It made me know that being a caregiver is many parts pain and small moments of joy. It made me know that I love her and she loves me. Merry Christmas to all and I wish you many small moments of joy this holiday season. Or even just one. 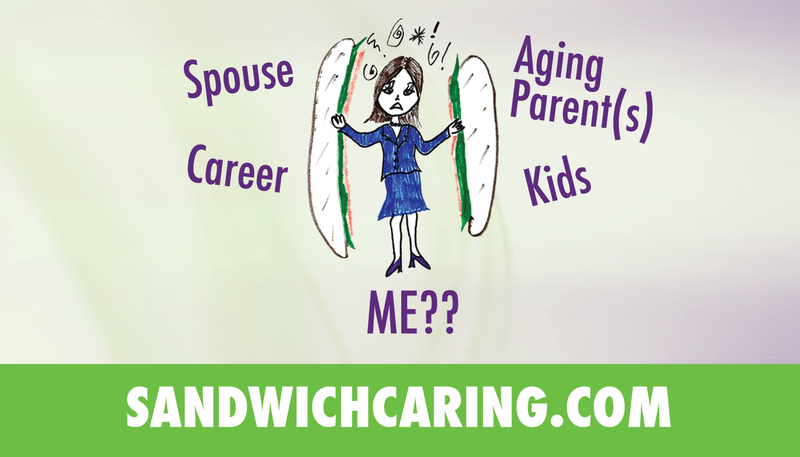 This entry was posted in caregiving, dementia, life challenges, parents, planning for the future, sandwichcaring, Uncategorized and tagged aging parents, caregiving, dementia, health care on December 23, 2015 by janestory.